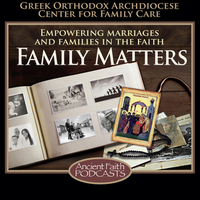 Fr Alex interviews Presvytera Melanie DiStefano on the rewards and challenges of raising a special needs child. She offers observations on how parishes can welcome families with special needs and advice on how families can feel more at ease in community life. Have We Been Doing Family Ministry Wrong? Fr. Alex Goussetis talks with Steve Christoforou, well known leader in youth ministry, about how to better minister to youth and families in the Church.